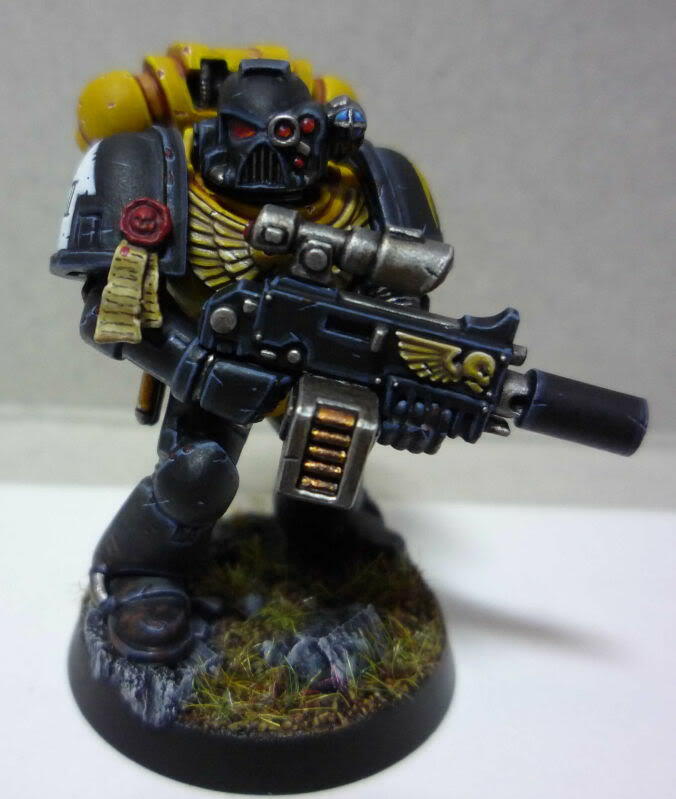 Even before the coming of Hive Fleet Kraken, Brother Servius was widely regarded for his fine marksmanship skills and unnerving accuracy as a Scythes marine. 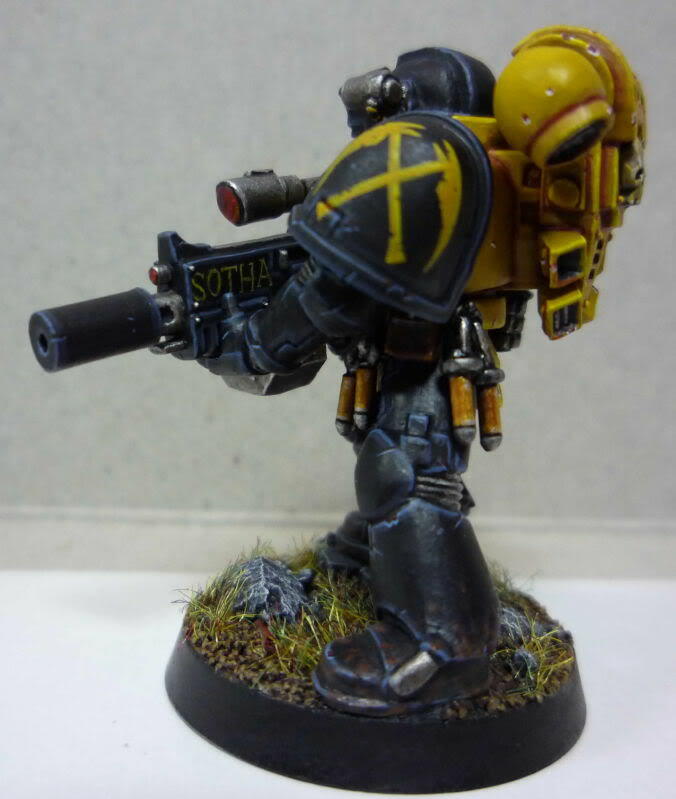 In the aftermath of the destruction of Sotha, Servius has become an exemplar for ballistic competency, cementing his position as the finest shot of the chapter, picking off foes with his custom boltgun ‘Vengeance of Sotha’. Despite only serving as a full battle brother for a little other a decade, Sevius has already earned 6 markshmanship awards for his many displays of impressive accuracy. 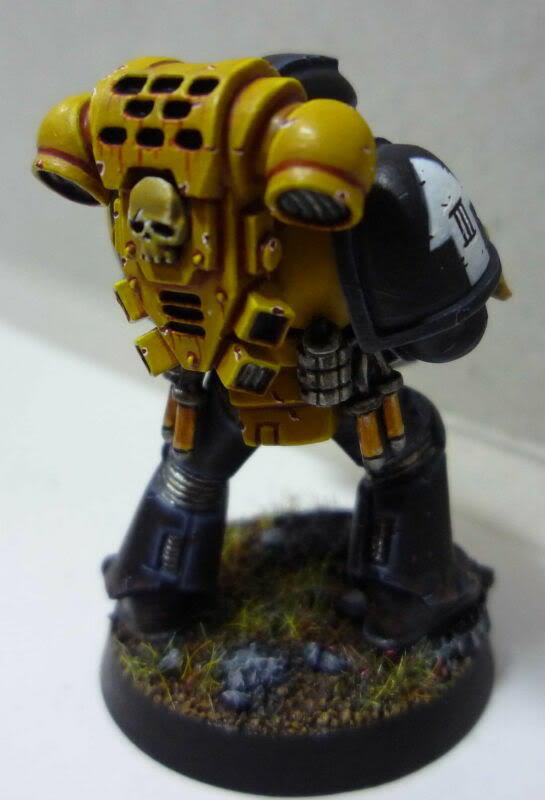 His most recent award came during the fierce defence of Giants Coffin on Miral, where he successfully stopped a charging carnifex at extreme bolter range with a precise shot through the eye of the rampaging monster down into its brain stem. Servius is a quiet individual who can sometimes seem aloof to his fellow brothers. While they may occasionally joke about ‘Serious Servius’, there is no one else his brothers would rather have providing them covering fire.